WASHINGTON (Reuters) - The U.S. Department of Defense is proposing to pay for President Donald Trump's much-debated border wall by shifting funds away from projects that include $1.2 billion for schools, childcare centers and other facilities for military children, according to a list it has provided to lawmakers. The Pentagon gave Congress a list on Monday that included $12.8 billion of construction projects for which it said funds could be redirected. Around 10 percent of the list relates to educational establishments and includes school buildings for the children of service members in places like Germany, Japan, Kentucky and Puerto Rico. 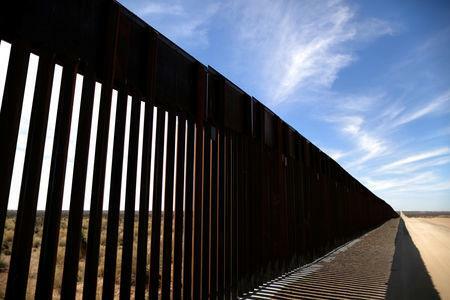 The move comes as a surprise given the Trump administration's oft-touted support for the sacrifices made by military families and suggests the White House's desire to build a wall on the border with Mexico outstrips nearly all other issues. However, of the $1.2 billion in projects related to education, approximately $800 million worth are far in the future, and those funds could readily be used for wall construction and replaced later. The Pentagon told Congress that just because a project was listed, it "does not mean that the project will, in fact, be used" as a funding source to build sections of the border wall. Trump earlier in March asked for $8.6 billion in his 2020 budget request to help pay for his promised wall on the U.S-Mexico border to combat illegal immigration and drug trafficking. It drew swift criticism from Democrats. 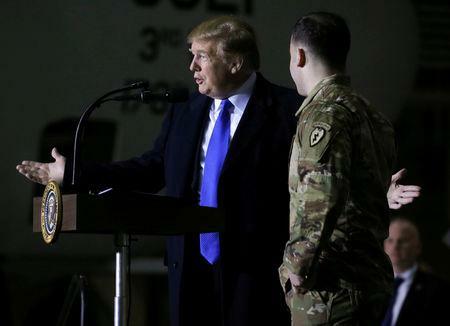 Trump declared a national emergency in a bid to fund the wall without congressional approval, allowing his administration to use money from the military construction budget, if needed. In a tense Congressional hearing last week, Democratic senators demanded that they be provided a list of military funds that could be utilized to fund wall construction. Military officials have vowed that they would not use any funds from military housing. A recent Reuters investigation https://reut.rs/2t1Y2UA found thousands of U.S. military families were subjected to serious health and safety hazards in on-base housing, prompting moves from lawmakers to improve landlord controls. But elementary and middle schools on bases around the world serving military families are at risk of suffering from the funding diversion, as well as a new engineering building and parking garage at West Point, the Army's military academy in New York state. Joint Base Andrews, where the president's Air Force jet is based, was slated to receive $13 million for a "Child Development Center," but funding for that project is on the list. The base currently has three child development centers serving the 12,000 to 14,000 active and reserve military stationed there. The children of pilots for the F-35A jet, being made by Lockheed Martin at a cost of $89 million each, could be impacted. Alaska's Eielson Air Force Base is slated to get $22.5 million to build a school to enroll 240 additional children "in a remote arctic climate" when the jet begins operations there. The current school serves 108 and has an "extensive waiting list," according to Air Force budget documents which say that if a school is not built "children will be turned away," "directly impacting support of the F-35 mission, morale, and welfare."